It’s finally here! The new long-awaited song from The Strokes: Oblivius. 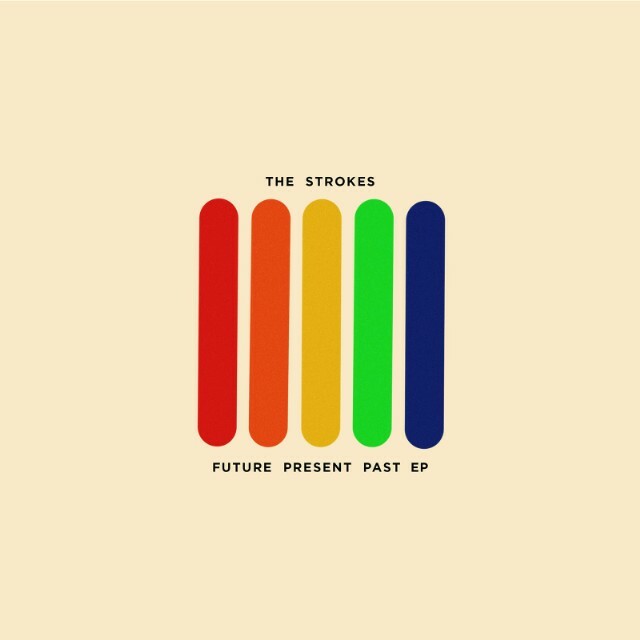 Earlier today, the music scene is been shaked by rumors on the imminent sharing of a brand new track by NYorkers The Strokes, that will release a new EP this year. On this, the new label Cult Records shared several teaser images via social media. And now finally, the band has shared Oblivius taken from a brand new EP named Future Present Past, out digitally June 3rd and on 10” vinyl ‘at some point’. This is NY giants new release since 2013’s and it features two other brand new titles Drag Queen adn Threat Of Joy, alongside a remix of Oblivius by drummer Fab Moretti. Definitely less surprising is been the news on the fact The Strokes have also signed to Cult Records, Julian Casablanca’s lable. That explains the reason why band’s new logo appeared on the label’s site last night. Not so big news but it’s time to change merchandising in your wardrobe! The new EP Future Present Past is already available for pre-order on the label’s web store.